I gotta tell you… I’ve been running this blog for a long time and yet I don’t think I’ll ever run out of funny-sounding terms to define. Some of them sound so improbable that you have to wonder. I’m not sure what you came into this article thinking a “feed horn” is, but it’s a fun-sounding word that can conjure up all sorts of images. In truth, it’s really not that exciting. It is, however, an important part of a satellite dish. 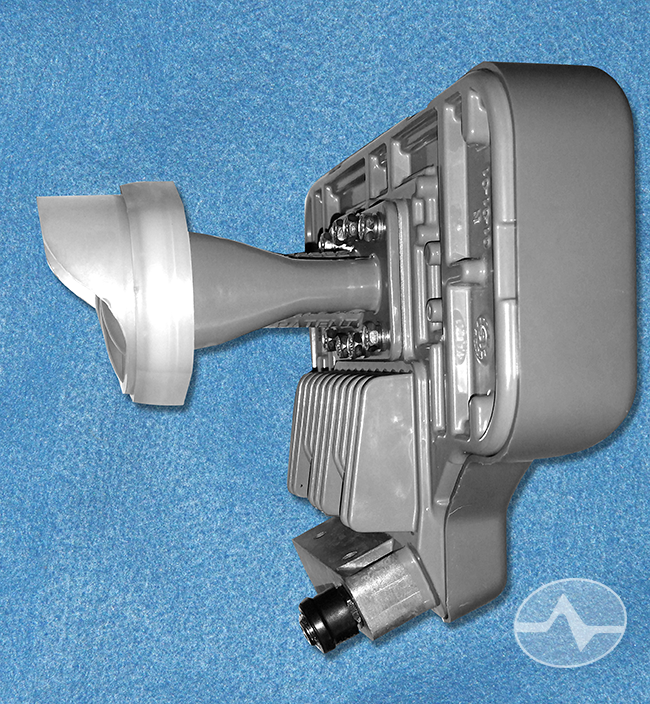 In order to understand a feed horn, you have to understand how a satellite dish works. A satellite dish is an antenna that’s designed to pick up very, very, very high frequencies. There are two really distinguishing things about satellite transmissions. First of all, by the time they get to you they’re very weak. No surprise, since it took them over 20,000 miles to get to you. Second, since the wavelength of a signal gets smaller as the frequency gets higher, those waves are reaaaaalllly small. Like, they’re around a millimeter in size. So, one more thing about that. The smaller the wave, the smaller the perfect antenna for that wave. So in reality, a satellite antenna is about the size of your pinky nail. I’m sure this makes zero sense since a satellite dish itself is much bigger than that. It focuses all of them on a point in front, where the LNB goes. The feed horn, which is the subject of this article. LNBs make satellite reception possible. Once all that signal is focused in one place, it’s still not strong enough to go down a wire in its current form. The LNB takes care of that. Even though the dish does a pretty good job of focusing the signal, it doesn’t do a perfect job. That’s the job of the feed horn. A feed horn looks sort of like a funnel. It helps move those signals down the line and concentrates them even further so they land in precisely the right place. The one you see above you is just a typical one I found on the internet. 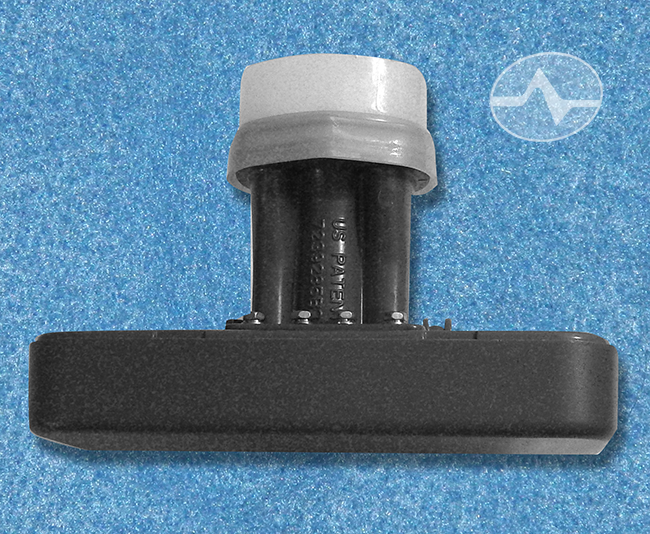 The feed horn in a satellite system is that part on the LNB that’s covered in white plastic. The plastic is invisible to satellite signals and serves to protet the electronics inside. The actual feed horn is behind the white plastic cap. If you look at the image below of a DIRECTV LNB, it’s the thing that sticks out in the middle. This particular feed horn is oversized so it can focus the signal on three separate receiving antennas. You can see that when you look at the top view. If you’re looking for satellite accessories or any DIRECTV satellite parts, check out the great selection at SolidSignal.com. 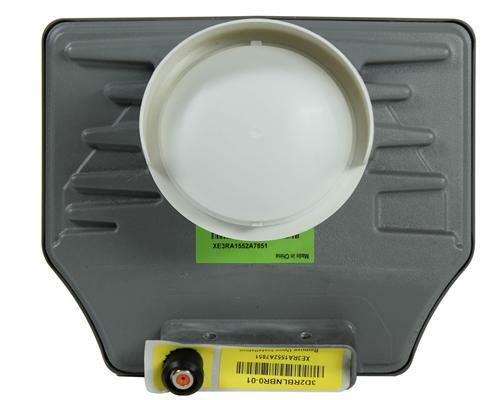 Do you “really” need a satellite meter? Why are marine satellite domes so big?